In the last 2 years or so I have become a tad bit extra particular about my skin care regime. Apart from the usual & standard cleansing and moisturising procedures, I have now add a few more steps in the daily and weekly routines. These include more toning, using facial oils, anti ageing so on and so forth. Honey does its job of moisturising & soothing the skin. All you need is 1 tablespoon of honey combined with 1 teaspoon of sugar & mixed well. The above scrub works wonderfully on chapped lips too. Just rub a pinch size amount on the lips and you will have your supple lips back again. If your skin is sensitive and in need of some gentle love and care, click here to read more on home made scrubs specifically for sensitive. I cannot exactly tell in which way is this pack effective because when I apply this, it generally solves all my problems; which generally include skin dullness, breakouts or extreme dryness. Mix a very tiny pinch of turmeric with a spoon full of coconut oil. Add a capsule of Vitamin E. Mix everything well and apply on the entire face and wash off after 20-30 minutes. This works well on pimple scars too. I discovered while oiling my hair that coconut oil is indeed very good for the skin too :) I was too lazy to moisturise my face so instead just went ahead with the oil in hand and immediately felt good. My skin felt more hydrated and the general irritation just calmed away. Massaging some coconut oil on my face now is almost a regular routine now. It makes the skin feel good and in my case helps in brightening up as well. I use the regular coconut oil which I have been using to oil my hair since childhood. All in all, ice works very well on the face. Click on the link above to know more, if this method excites you. Facial steaming is good for opening up pores and letting out toxins. Steaming also helps cleanse product build up, loosen blackheads/whiteheads, improve circulation and add a healthy glow! If removing black heads from the nose or the face is an agenda, then steaming followed by removal of black heads with a proper black head remover is the way to go. You can steam with a tented towel over a steamer or a pot with hot water. Even something like soaking a towel in some hot water and covering the face with it (after squeezing out all the water) is very relaxing. Read more on benefits of steaming here. 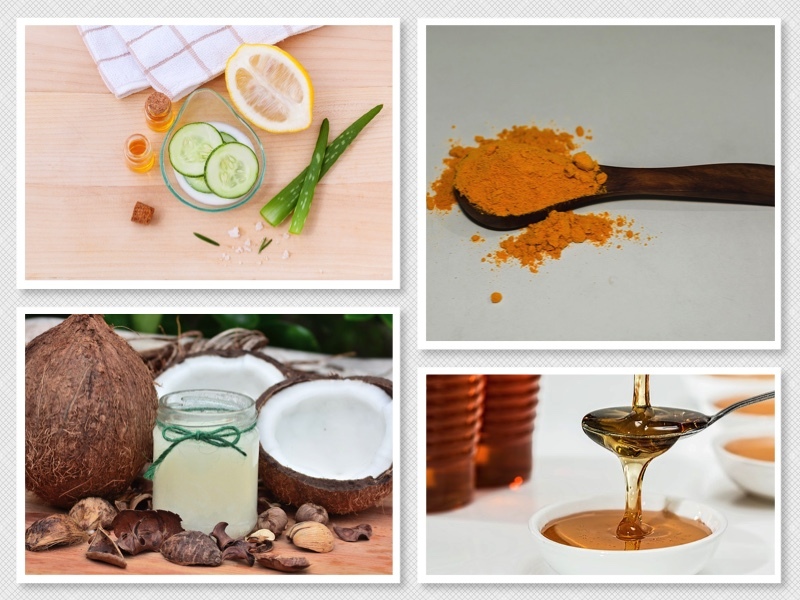 There's nothing like organic home made face packs. They are natural, safe, devoid of any chemicals and full of nourishment. My favourite is one is turmeric mixed with milk and rose water. It immediately brightens up my face post application. For some reason turmeric is very medicinal & healing for me hence I swear by it all the time. Click here for some super interesting recipes of home made face masks.